Seachem Liquid Marine Buffer® will safely raise marine pH to 8.3 while adjusting alkalinity. It will not raise pH above 8.3 even if inadvertently overdosed. 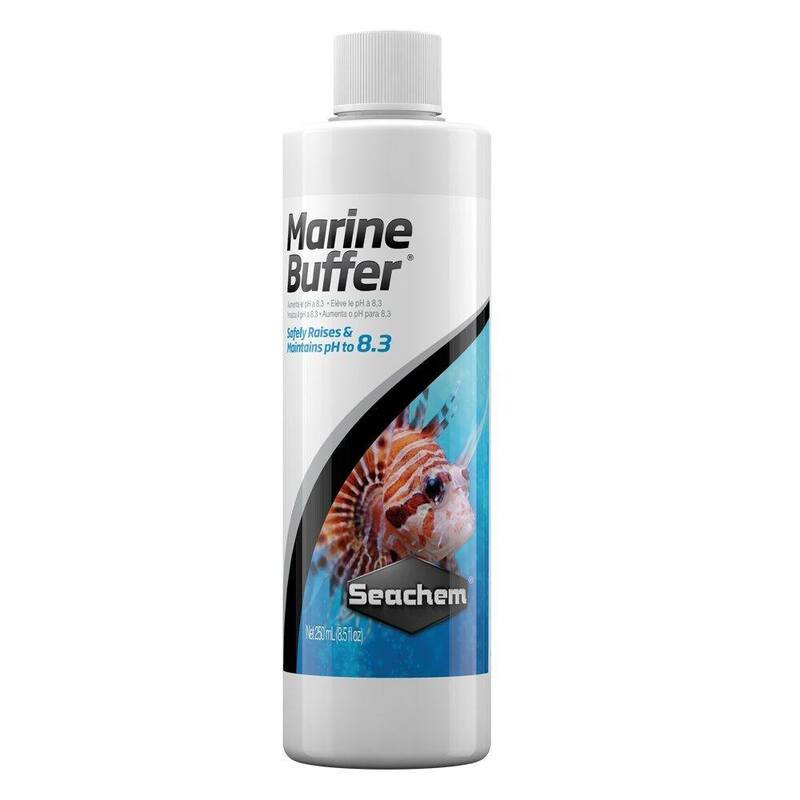 Liquid Marine Buffer® contains a balanced blend of bicarbonate, carbonate and borate salts designed to raise pH and restore disrupted buffer systems to the proper balance. Use Seachem’s MultiTest™: Marine pH & Alkalinity to check pH and total alkalinity. Use Marine Trace™ to restore the proper level of trace and feed NutriDiet® Marine Flakes for thriving, healthy saltwater fish. 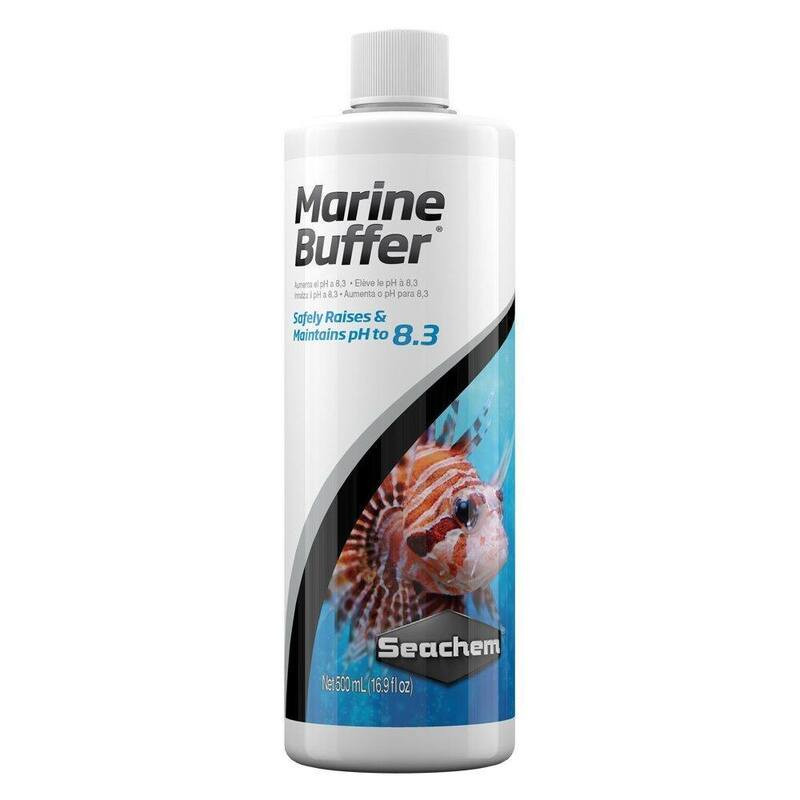 Seachem Liquid Marine Buffer™ shares the same blend as Marine Buffer™ powder; thus, it confers the same benefits. It is a blended buffer that drives and holds your pH at 8.3 because of the blend. The pK of Liquid Marine Buffer™ is actually slightly higher than 8.3 in order to combat the influx of bicarbonate at every water change.